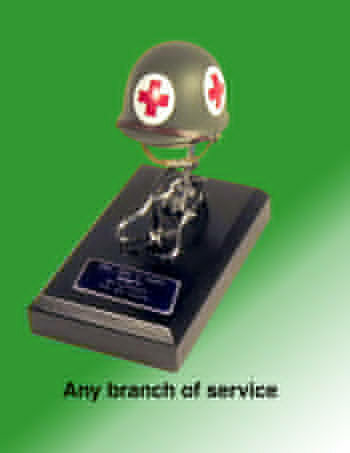 Medic helmet with stethescope on black alum base [DSK-318] - $59.50 : Metalcraft by Blair - military gifts and memoribilia. This is a selection of military items mounted on one of several styles of bases to choose from. ( Aluminum, wood or acrylic. ) In some cases we use a chrome wire support to hold our display items.